What has enhanced our work culture? Ensuring we hire the best people who share this work ethic, hunger, and drive. That’s the biggest perk we can give our employees. Focusing on your employees’ development is the biggest perk you can give them — much more than bean bag chairs, ping pong tables, or free lunches. When you first hire new employees find out in which areas they want to grow in, and focus their coaching around developing those skill sets. Many organizations struggle to create an environment of where achieving lofty goals are the expectation. This feat is incredible enough. But, creating an environment where your employees value self improvement, thinking bigger, and becoming the best versions of themselves is the ultimate benchmark. When you do the former, you’ll have a high performing company and when you can do the latter, you’ll have a company of high performers. 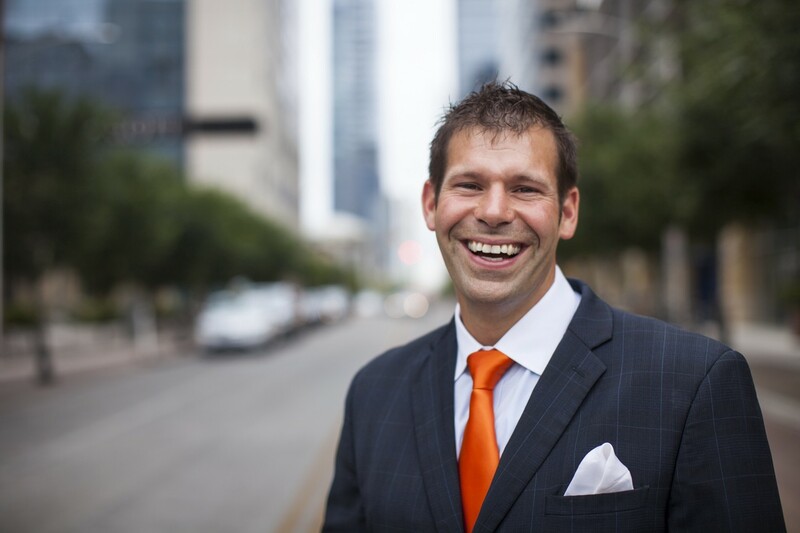 Recently I had the opportunity to interview Adam Hergenrother from Adam Hergenrother Companies for the ongoing series: CEOs Share Leadership Strategies To Improve Your Company’s Culture. Adam Hergenrother is Founder and CEO of Adam Hergenrother Companies which includes Keller Williams Realty Vermont, Hergenrother Realty Group, BlackRock Construction, Adam Hergenrother Training, and Adam Hergenrother Foundation. In less than ten years, Adam built this rapidly growing company through his commitment to thinking big and never giving up. Adam Hergenrother Companies awarded one of the Best Places to Work in Vermont in 2017 & 2018. Hunger — A burning desire to succeed, to grow, and to contribute to our organization and the world at large. This includes being self-motivated and driven. Execution — Having an opinion on a project or a great idea, is just that, great. The ability to implement these ideas is critical. Doing the work necessary to get the job done. That is execution. Endurance — Personal growth through business success is a long game. Being able to work long days, hang in there during constant change or when we are having trouble coming up with a solution to a new challenge. Being able to do this for months or even years. Having the commitment to push through during times of constant pressure and high stress. Adam: I believe it is less about millennials and more so about the cultural shift people of all ages are experiencing. People are changing how they operate at work and at home. Now, more than ever, people are fueled by growth, freedom, and options. If your company provides consistent and continued growth and opportunities, then you will be able to “manage” the millennial mindset. If not, your staff will leave for a new opportunity that fulfills their need for constant growth and freedom of movement (think unlimited vacation, flexible hours, ability to work remotely, opportunities to travel for work). In fact, I wouldn’t even use the word managing when referring to millennials or anyone in today’s workforce. You manage systems, but you LEAD people. You manage systems, but you LEAD people. Get everyone in your company focused on physical training and pay for their coaches (running coaches, Ironman training coaches, etc. ). If my employees aren’t healthy physically, it can affect their overall performance at home and at work. Health and wellness (nutrition, mental and emotional health, energy management, and rest and recovery time) are all important parts of ensuring my team members are operating at peak performance. Paying for their health coaches is one way I can help them on their journey toward being the best versions of themselves. Focus on creating a Future Self for each employee. Coach your employees to develop their mindset around thinking big and creating plans for each area of their life (physical, spiritual, family, financial, professional, social). When we allow our minds to expand as a company, we can go further faster. Several of my employees have used a Future Self for over three years and every year they have to up their goals because they are accomplishing them faster than the 3 year time-frame. That is the power of thinking big. That is the power of the Future Self. Encourage and hold team accountable to reading 52 books a year. I often assign reading to my leadership team, and they in turn, assign books to their divisions to read. Two of my employees have decided to host book clubs — one for personal growth and one for sales training. Most people read about 1 book a year after their last formal education. Not at our company. We want a 52 to 1 advantage over our competition and we do that be reading, learning, and growing together. Unlimited vacation and personal time and flexible schedule. Hire accountable people and hold them accountable to the results — time on task is irrelevant if we are all team players and getting the work done. In fact, instead of having to talk to people about taking less time off, I have to push people out the door and encourage them to book their next vacation. This works to build a very cohesive team where everyone is working towards the same goal and not worried about their work or the work of their team members. Everyone is accountable to their own goals and work and the goals and results of the company. High performers want to work with other high performers. Radical transparency. Direct communication saves time and provides clarity. We practice radical transparency regularly by bringing attention to what isn’t working and then developing plans to achieve our results. Bring everything back to a standard with a specific number. Then let your standards be the bad guy. Everyone should know where you stand with them at all times. Radical transparency builds trust and loyalty. Adam: Companies struggle with creating strong, healthy work environments because the vision isn’t clear or it isn’t communicated as frequently as it needs to be. As a business leader your vision is critical for the overall success of your organization. Without a vision, what is it all for? Leaders must be communicating the vision constantly (every four minutes) and it should be so consistent that anyone in the organization could be asked, “What is the company’s vision,” and they would all be saying the same thing. Is this happening in your company or on your team? Does everyone know why they are coming to the office each day (other than for a paycheck)? If they don’t, that’s on you. Change it now. Adam: As young start-up founders start to become successful and earn more money, they mistakenly increase their lifestyle, often spending all they earn or, worse yet, living above their means. They must make peace with a certain level of income and pay themselves a fixed salary and not just for one year, for five — seven years while they are building their business. Any additional profit will be better spent investing into your business and people, not a Ferrari. It’s incredible hard to do, but if young founders can master this, they are way ahead of the game. CEOs are hit with weapons of mass distraction multiple times throughout the day. They have got to say NO to almost every request, distraction, meeting, etc. in order to stay focused on the vision and mission of the organization. Adam: Measure your day in minutes. Every minute, every hour, you need to evaluate where you are spending your time and make tough decisions about what to say yes and no to. This is extreme time management. Take this a step further. Every meeting you or your team members have — cut them in half. It will force you to get down to business and make decisions quickly and effectively. Better yet, if it can a be taken care of over a phone call or email, eliminate the meeting all together. CEOs are hit with weapons of mass distraction multiple times throughout the day. They have got to say NO to almost every request, distraction, meeting, etc. in order to stay focused on the vision and mission of the organization. Krish: Success leaves clues. What has been your biggest influence in your leadership strategy and company culture? Please feel free to share a person, book, another company, etc. Bottom line, don’t settle for mediocrity. You can either step up and fix the situation at your organization or step out into the world and find another career. Either way, it’s up to you. Adam: The first step is to look at yourself. Is it a bad boss situation or are you a bad employee? Are you showing up, leading, and most importantly leading yourself first? Have you gotten clear on your natural behavioral style and do you understand your boss’s behavioral style? Can you adjust your communication style so that you are speaking and communicating information/asking questions in such a way that it is received by your boss? If so, and we’ve determined it’s not you, it’s them, then have a conversation about how to improve the relationship. Go into the meeting with a clear objective. Come from curiosity, not judgment. You want to improve the situation, not make it worst by blaming or acting like a victim. In addition, you want to make sure you are constantly working on yourself through personal growth activities (reading, networking, journaling, etc.) to be the best version of you. Improve your skill set, take leadership courses, get a certificate. Make yourself as marketable as possible. Better yet, make sure you are interviewing regularly to get a feel for the job market, your value to the marketplace, and to keep your eyes open for new opportunities if it gets to a point where you decide to leave the organization. Adam: For us, it’s not about perks and incentives. In fact, the best company cultures have nothing to do with ping pong tables and sleeping pods, it’s about being able to go to work to solve interesting problems with other high performers who want to solve the same interesting problems. We have made it a standard to hire high performers like this. High performers want to work with other high performers. We are incredibly transparent that at this point in our company’s growth, we are hiring workaholics. Our team members are extremely committed to the vision of the company and are willing to do whatever it takes to get the job done. What has enhanced our work culture? Ensuring we hire the best people who share this work ethic, hunger, and drive. That’s the biggest perk we can give our employees. A special thanks to Adam again!